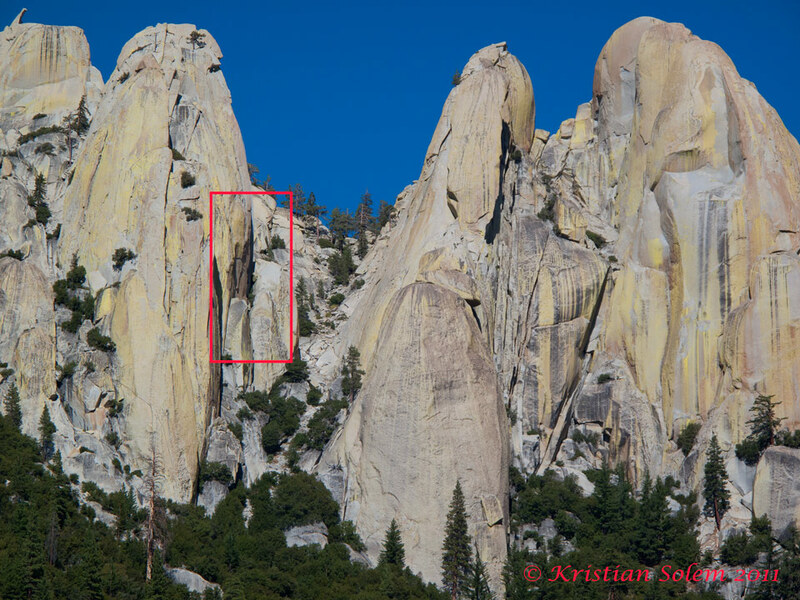 THE NEEDLES, GIANT SEQUOIA NATIONAL MONUMENT, CALIFORNIA. 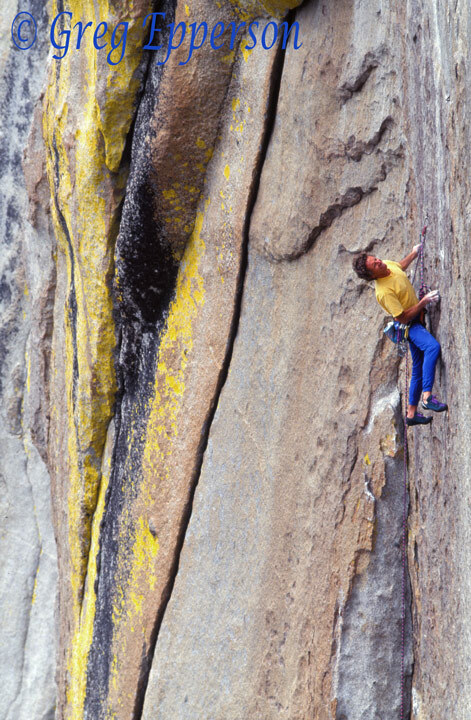 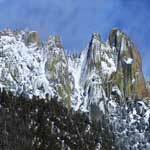 The Needles is one of California’s premier rock climbing areas. 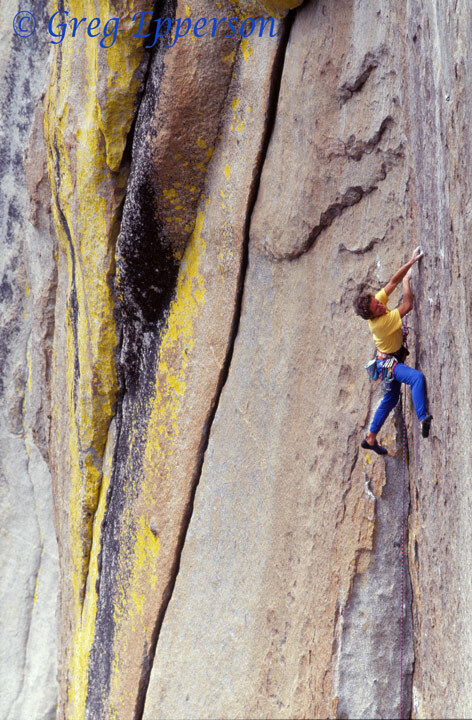 I have climbed there every summer since my first trip in 1983. 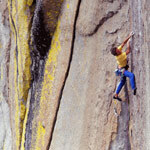 Climbing at The Needles brings every aspect of the sport I love. 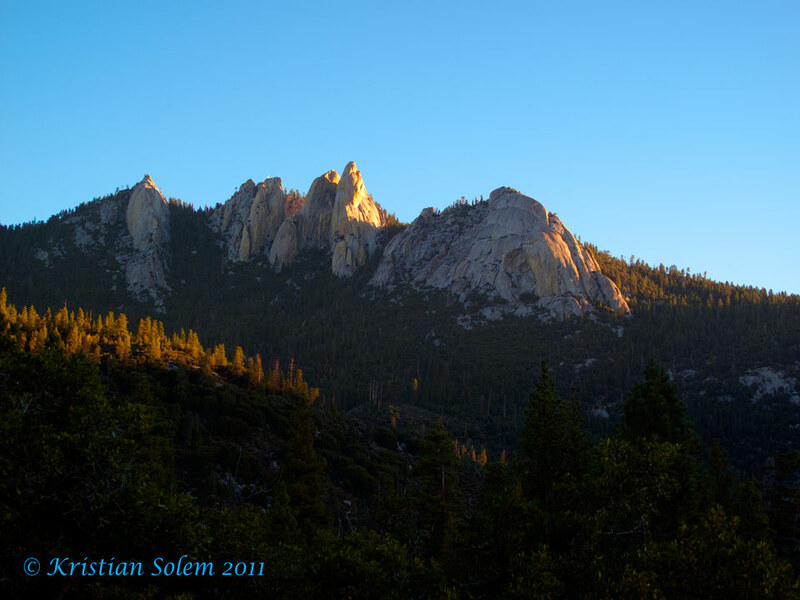 The day begins with a beautiful two and one half mile hike with great views of the Sierra crest and the Western Divide. 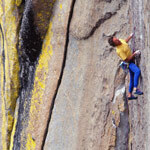 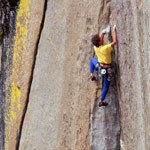 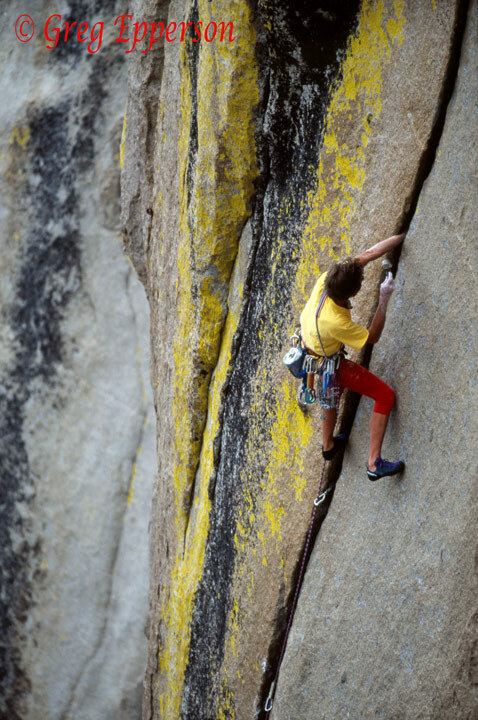 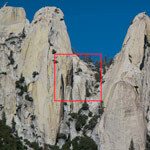 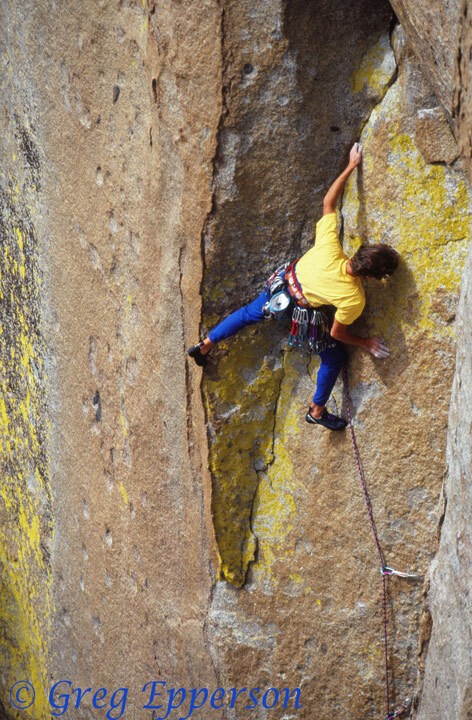 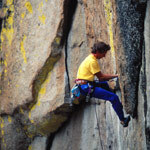 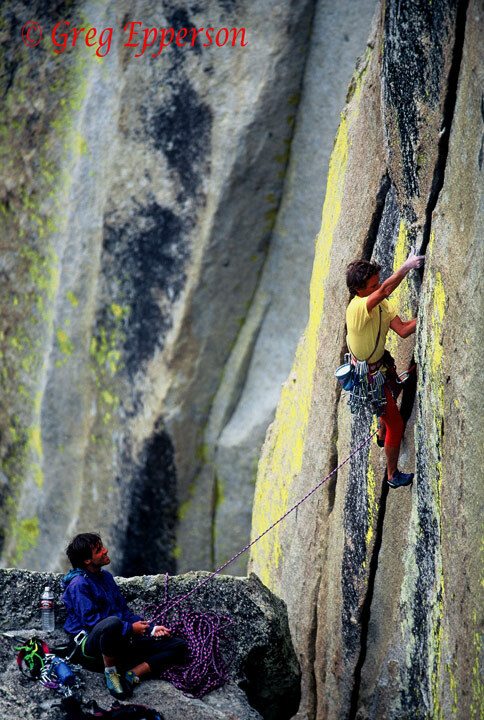 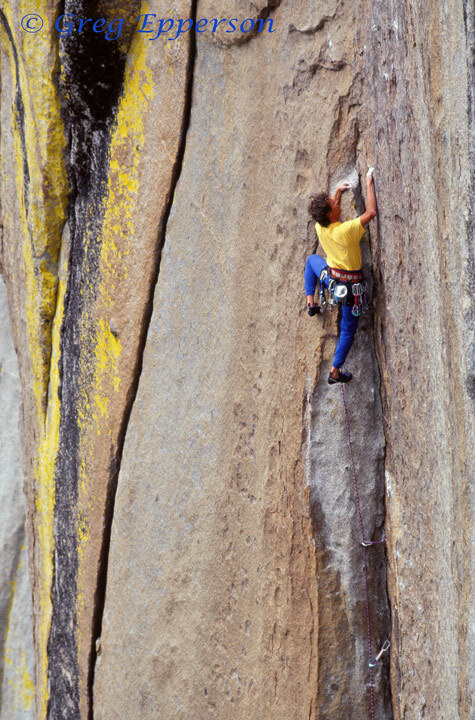 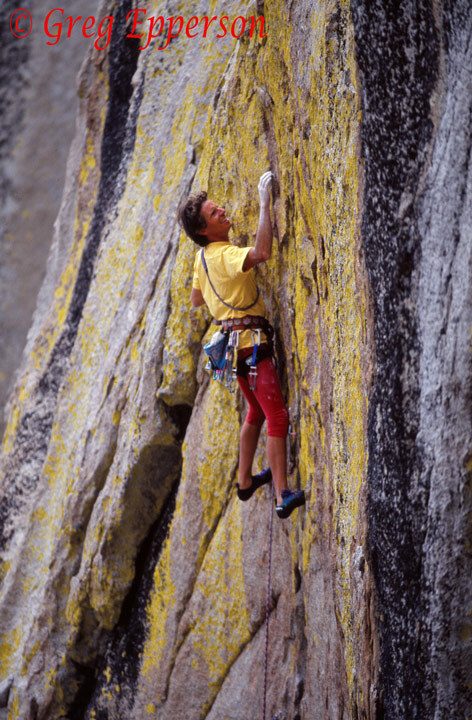 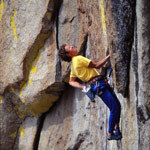 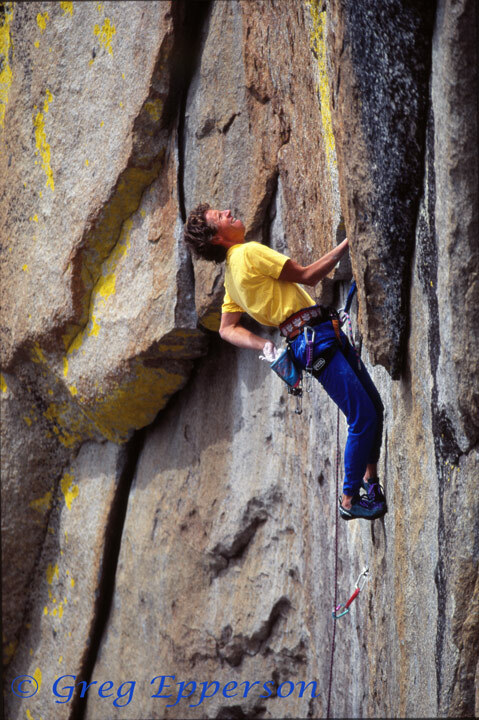 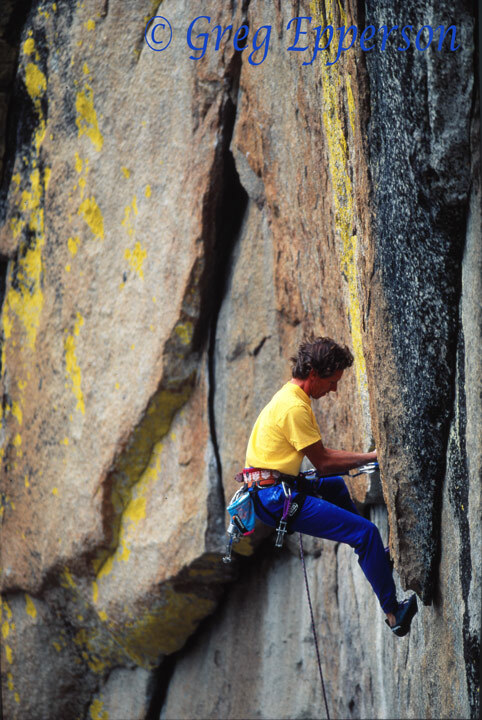 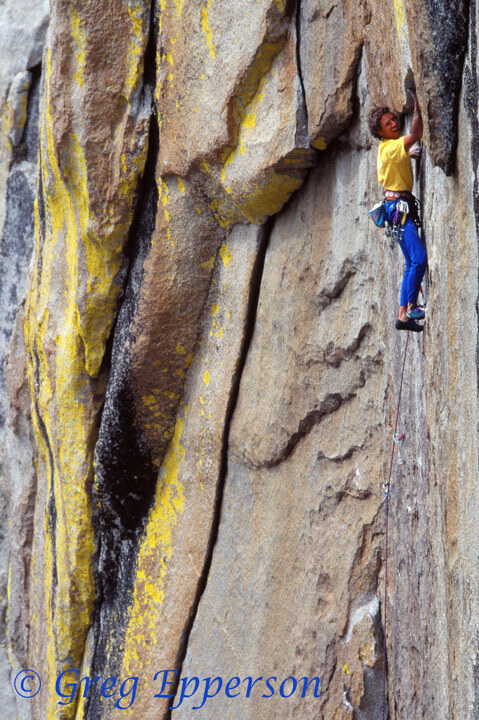 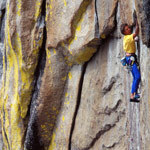 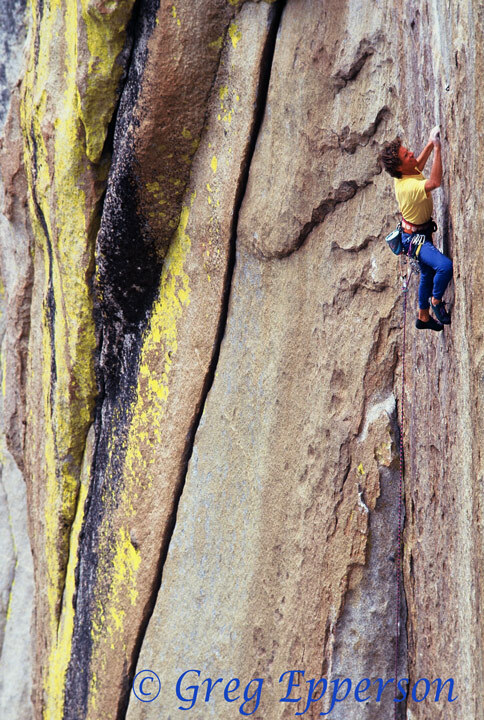 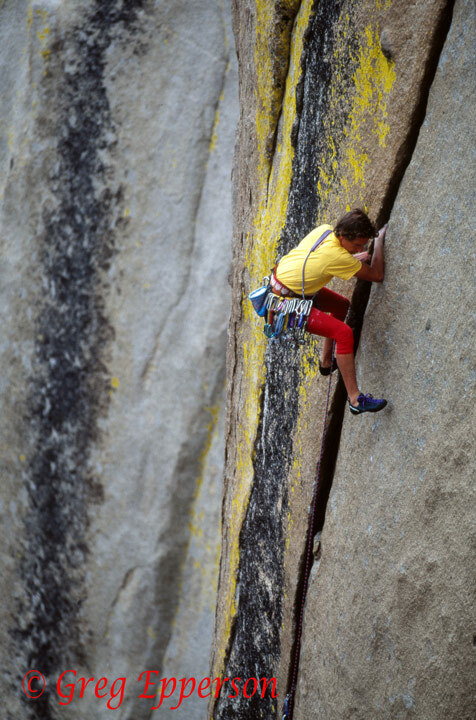 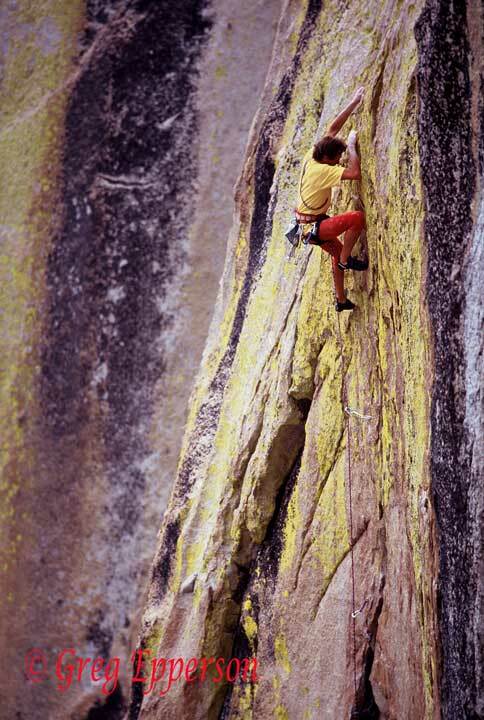 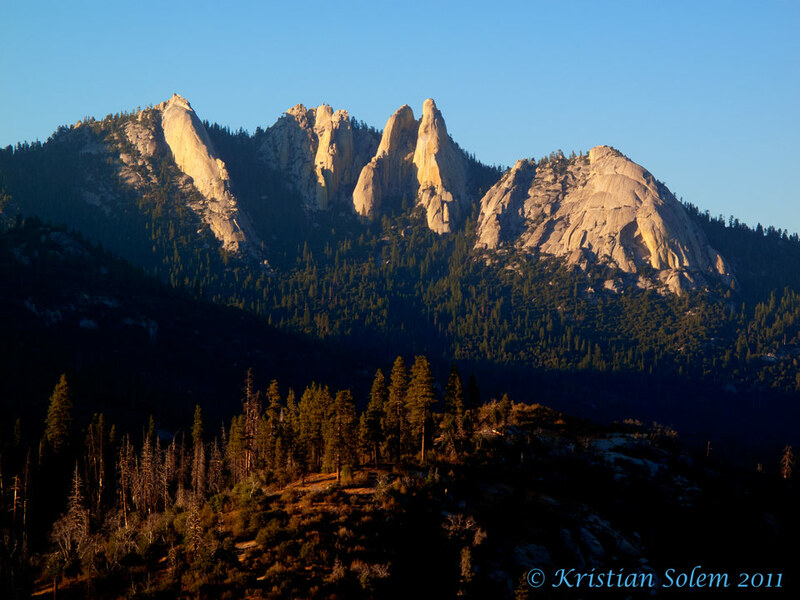 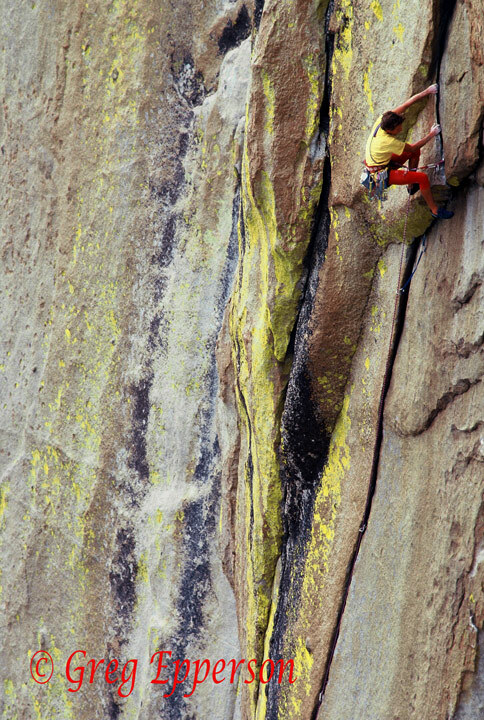 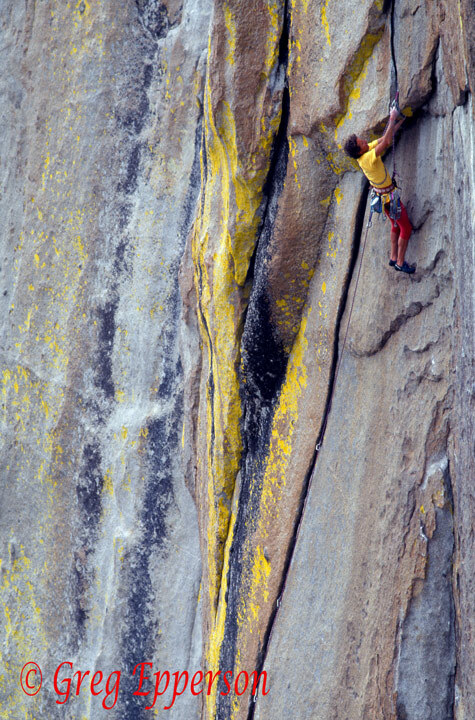 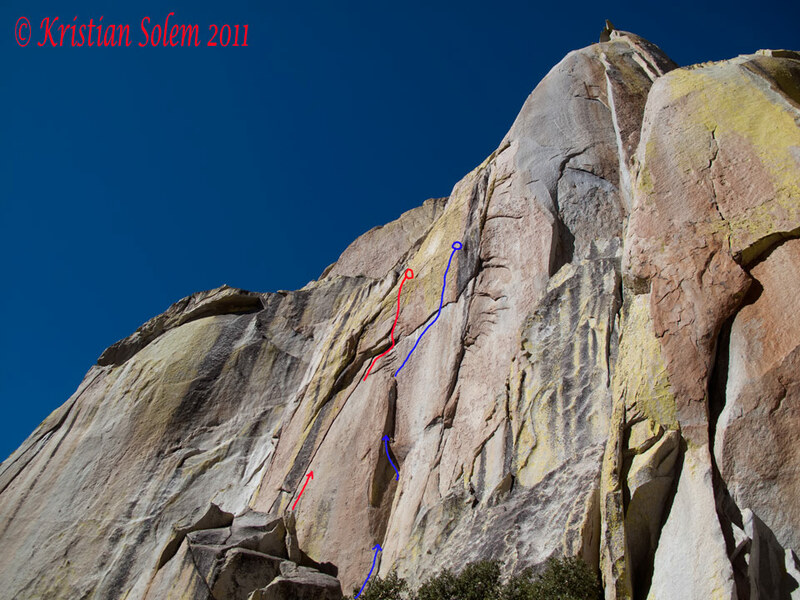 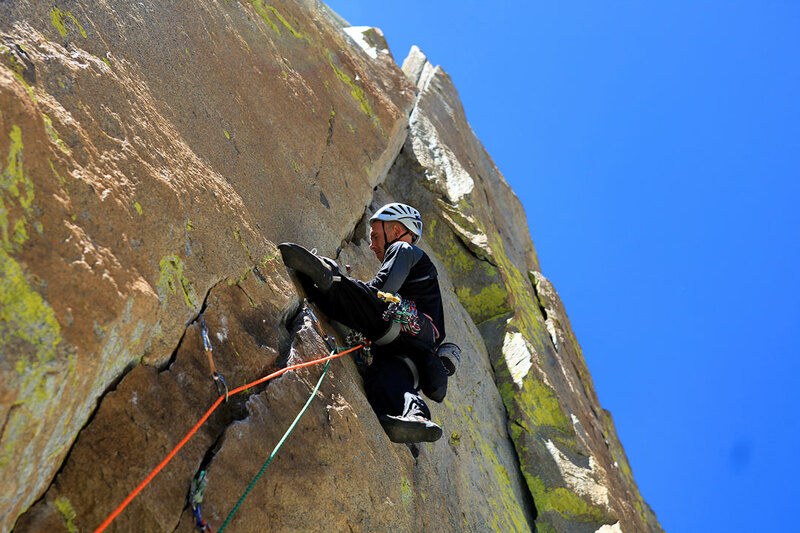 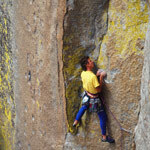 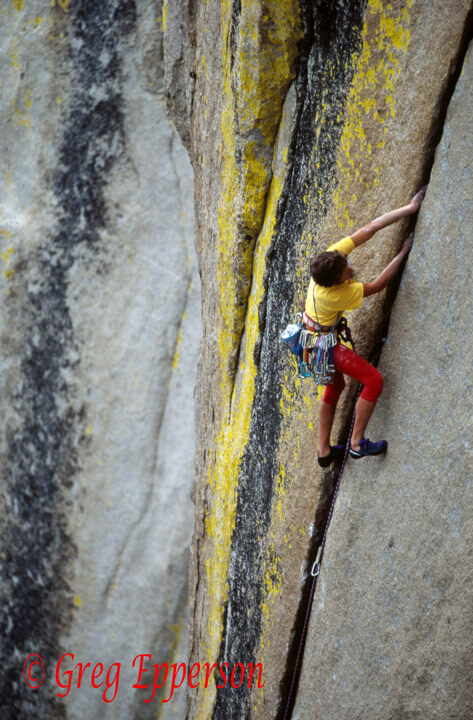 The climbing is airy and exposed on granite spires which tower thousands of feet above the Kern River whitewater below. 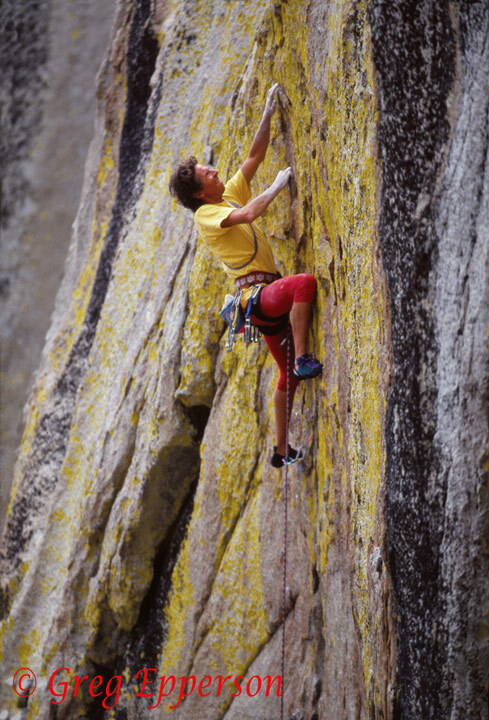 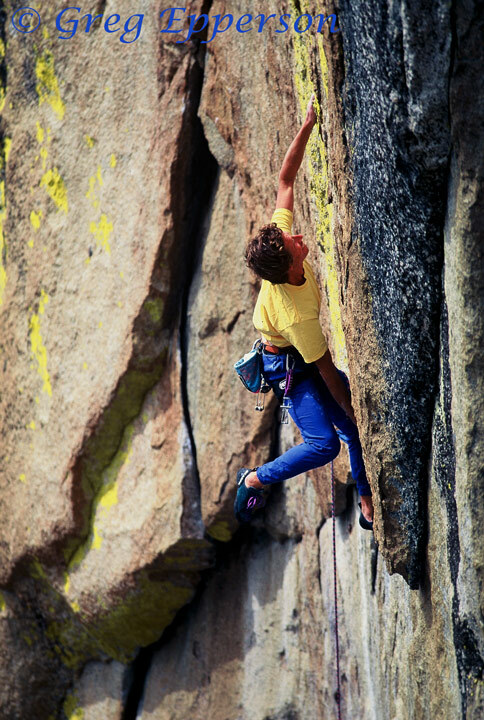 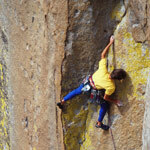 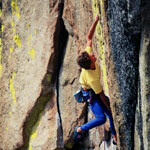 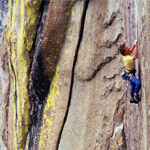 The climbing here is mostly traditional in style, the adventure meter is always on high. 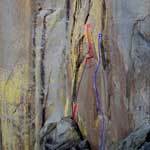 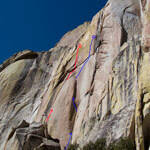 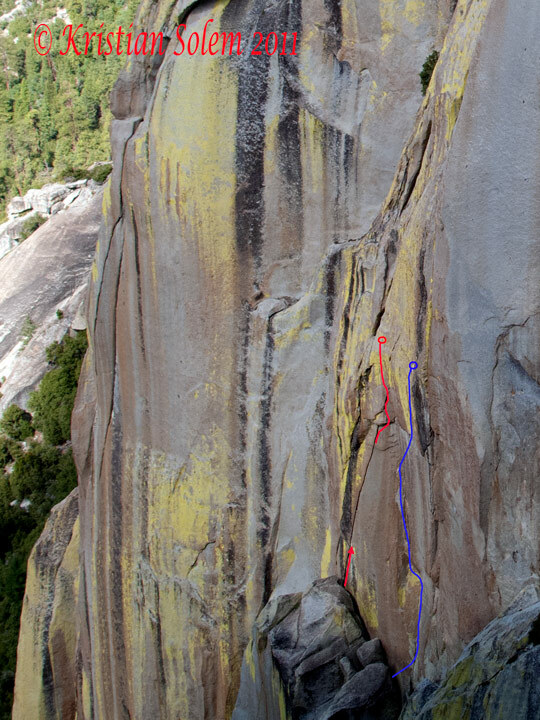 These two climbs start from the same ledge atop a pinnacle leaning against the lower east face of the Sorcerer. 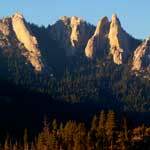 Situated as they are they make a perfect pair. 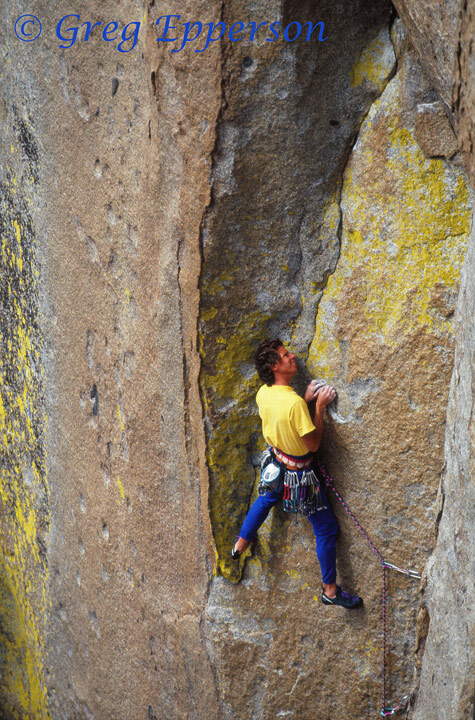 I am very fortunate to have the following images which were taken by the renowned master of rock climbing photography, Greg Epperson.